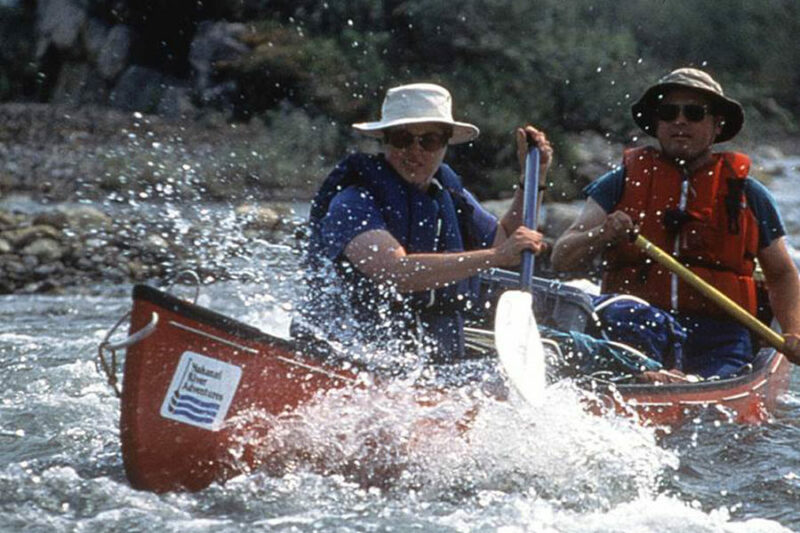 Paralleling the border of the Yukon and Northwest Territories, close to the Arctic Circle, the Snake River is one of the most remote northern rivers and offers superb mountain hiking and whitewater rafting and canoeing. 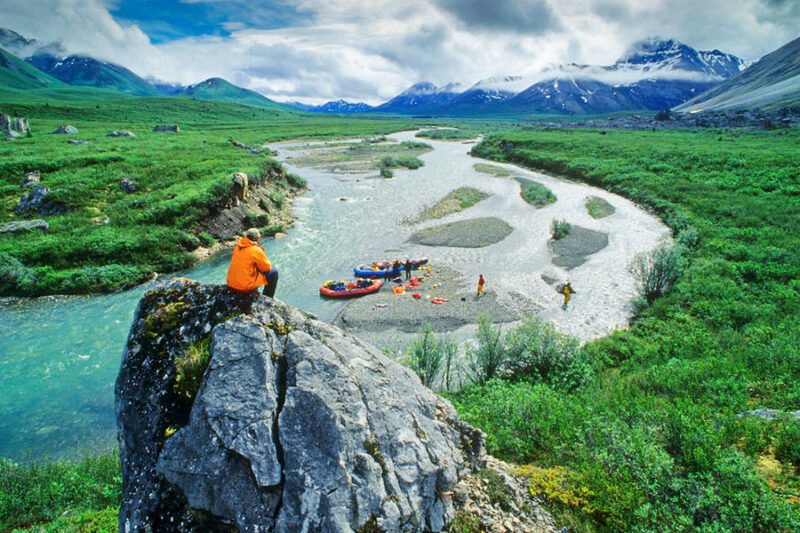 We paddle in two-person canoes or rafts over 12 river days along this arctic mountain river for a distance of 300 kilometres (180 miles) with an elevation drop of 800 metres (2400 feet). We use a combination of floatplane and helicopter to get us to the Snake River. 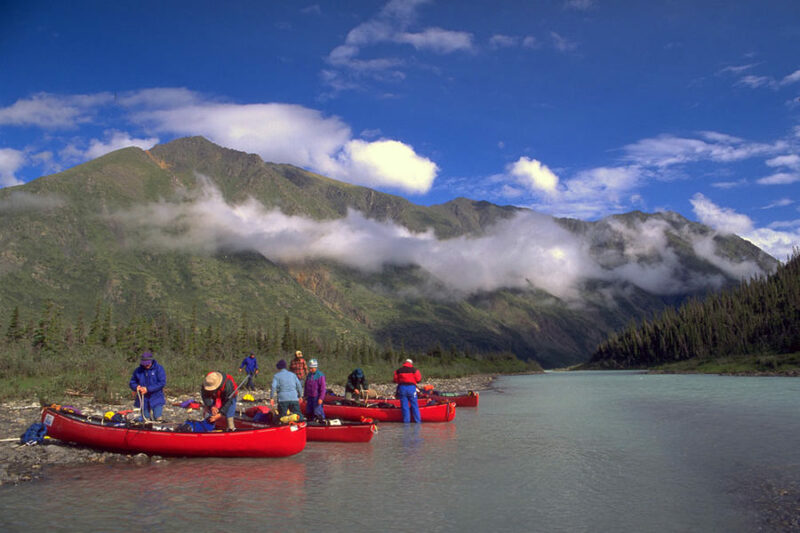 Flowing through the spectacular Bonnet Plume Range of the northern Yukon, the Snake River has become renowned for remote beauty, hiking and whitewater canoeing. 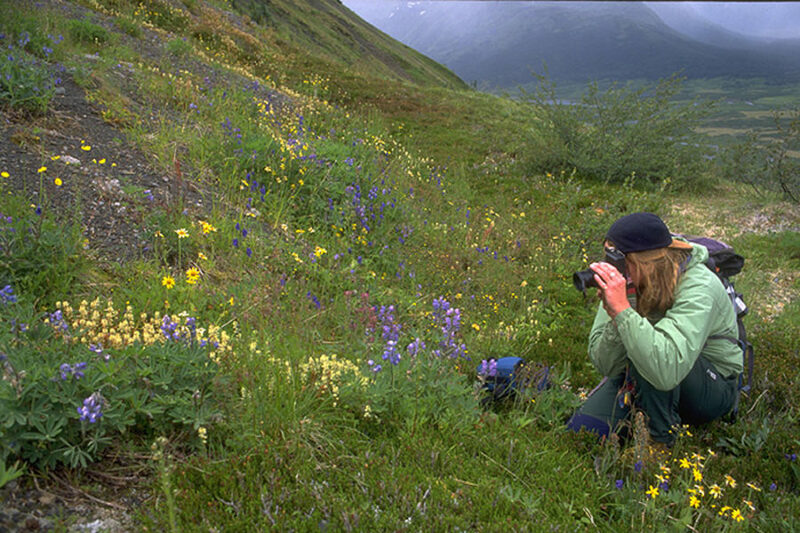 Dall sheep, caribou, grizzly, wolf and moose are all possibilities for excellent wildlife viewing, with panoramic vistas guaranteed. 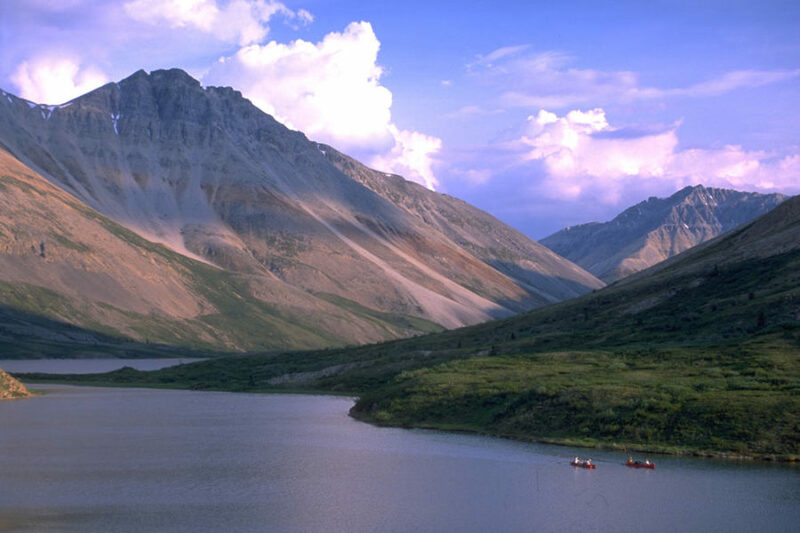 Located at the northern end of the Rocky and Mackenzie Mountain Chain, the Peel River Watershed is a spectacularly rugged region defined by the Peel, Ogilvie, Blackstone, Hart, Wind, Snake and Bonnet Plume rivers. 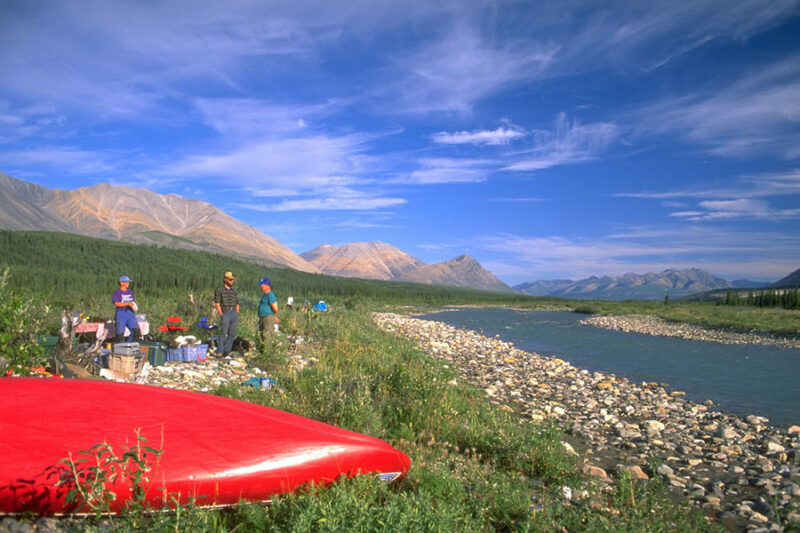 One of Canada’s most striking and pristine mountain river watersheds, the Peel is the heart of a great mountain ecosystem with a long cultural history, free-ranging wildlife and a rugged northern beauty. Encompassing over 67,500 square kilometres, the Peel Watershed dwarfs more famous landscapes, such as Banff and Yellowstone national parks–in size, unspoiled splendor and ecological integrity. This is the travel day. Please be in Whitehorse in time for an orientation meeting at the High Country Inn at 8 p.m. 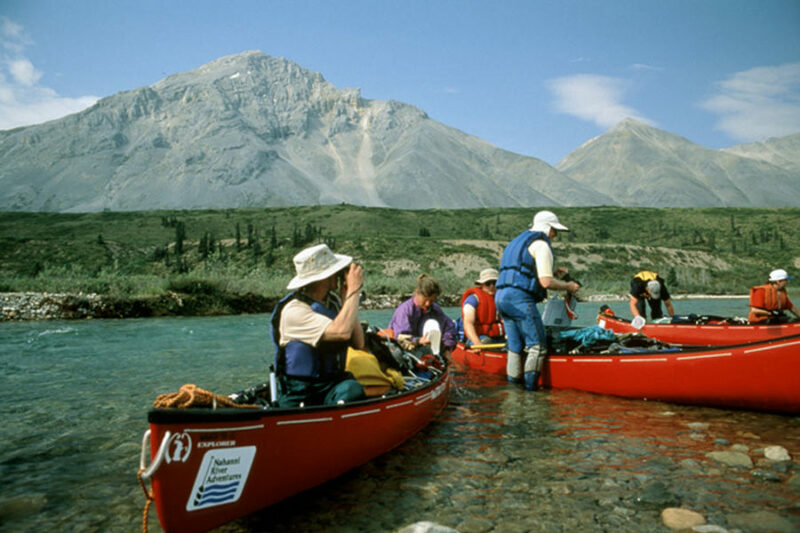 Participants are responsible for hotel accommodation and meals while in Whitehorse. Whitehorse is a great place to spend a few extra days. We will send you a visitor’s booklet. We will meet in the hotel lobby at 7:30 am. Following breakfast (not covered), and discuss final details before our departure. Traveling by van we will make the scenic 5 hour drive to the “end of the road” at Mayo. 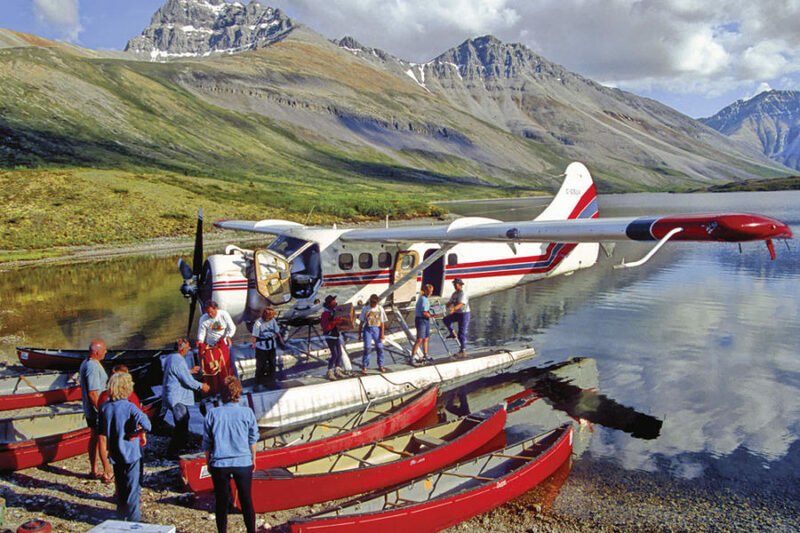 Here we will transfer to float plane and fly the spectacular and remote 135 miles into Duo Lakes. 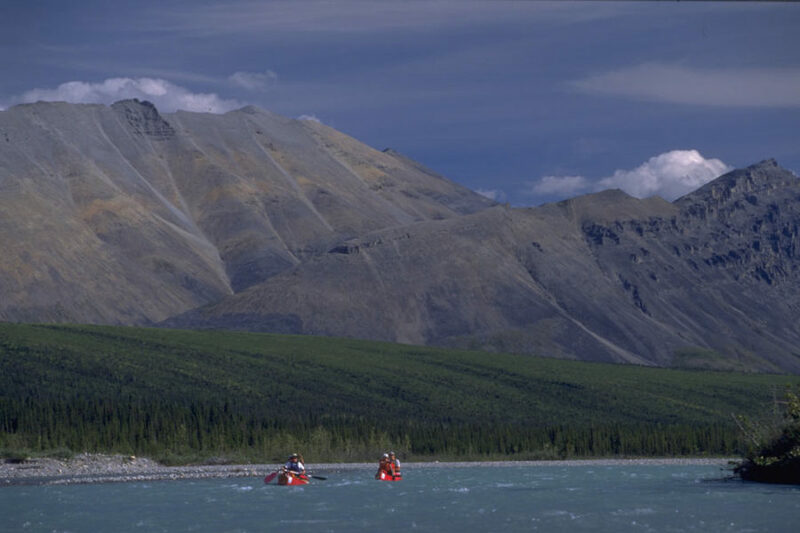 This is truly a stunning region of the Yukon wilderness! Have your camera and plenty of film handy for the flight. The current is swift. 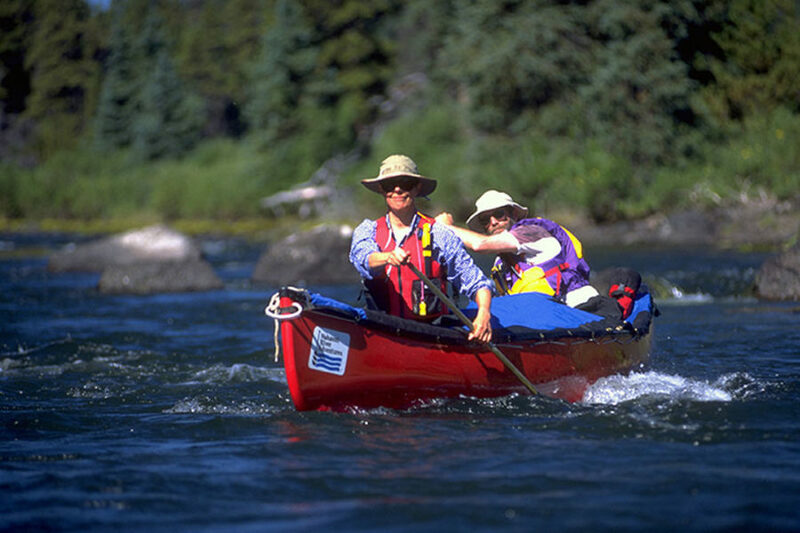 As we pass through the upper canyons we will encounter sharp bends and small rapids. Camp will be in the vicinity of Reptile Creek. The canoeists make the 500m portage from Duo Lakes to the river. In this region the Snake is a broad braided fan and we may have to do some lining and dragging over gravel and rocks. Neoprene booties with tough soles or combined with sneakers will pay off here. From our base camp at the beautiful creek confluence we will hike up the local ridges for spectacular views of the surrounding ranges and four drainage basins. 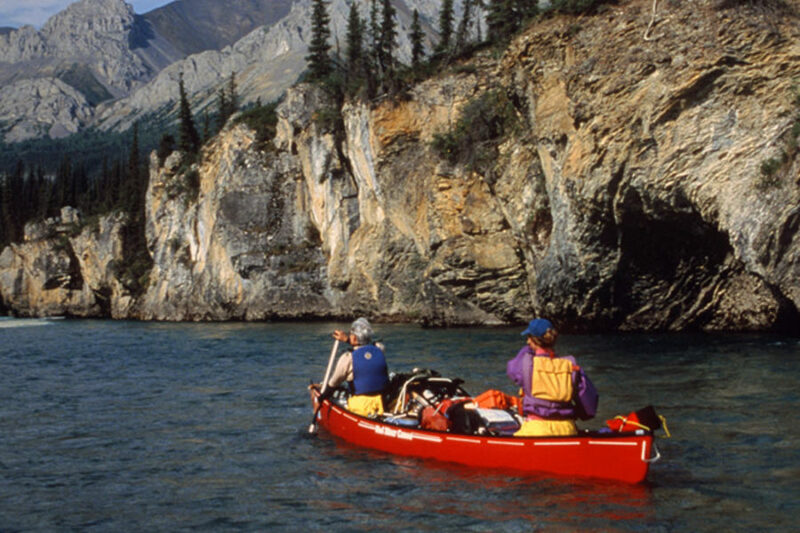 Here the red ridges and peaks offer unusual and enticing opportunities for exploration. 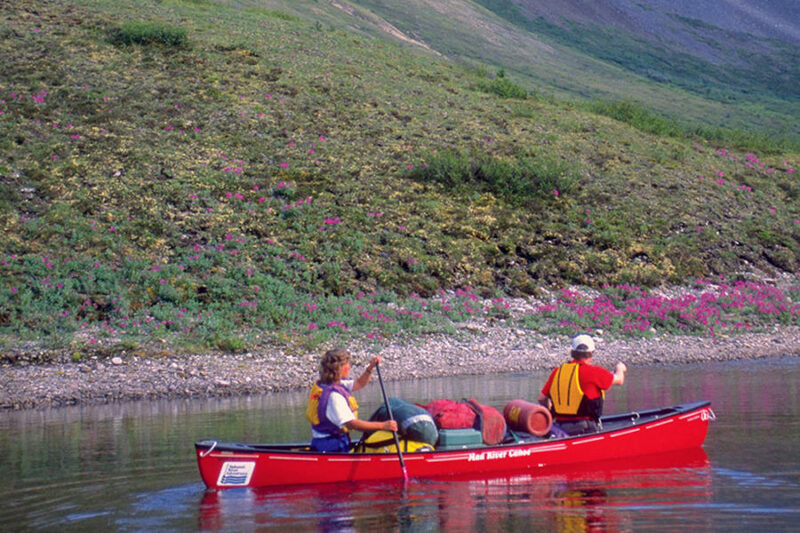 Back on the river we will be treated to expanses of fireweed and mini canyons. The Bonnet Plume Range dominates the horizon with a good possibility of spotting Dall sheep, caribou and grizzly. After an exhilarating day of continuous Class II water, we will camp in view of the limestone peaks of Mount MacDonald. 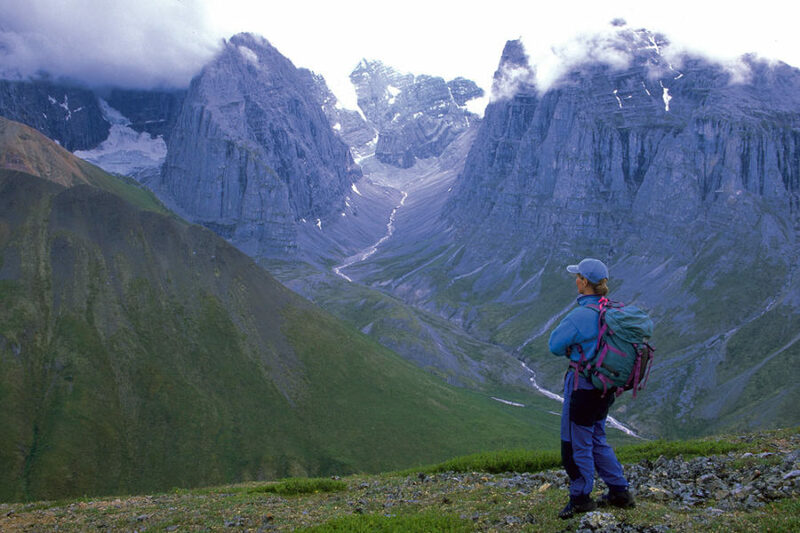 Glaciers dominate these peaks, and impressive panoramas are easily obtained from short hikes in the area. The canyon and more Class II rapids await. Today we change river valleys! The Snake cuts through the mountain range in a fast, fun slalom ride. Camp is in our “new” valley. Here the river cuts through a short narrow canyon. At most water levels this is a class II run. A short portage is an option. Conditions permitting, we’ll plan another hike in the dramatic range overlooking the valley. Today we bid adieu to the mountains and enter an extended braided region of “Splits” as well as the lower canyons of the Snake. Moose, bear, wolves and peregrine falcon are possible here. The current remains fast and picking our channel in the “Snake Maze” is our main challenge. The Splits finally come together and the Snake starts to meander a bit. 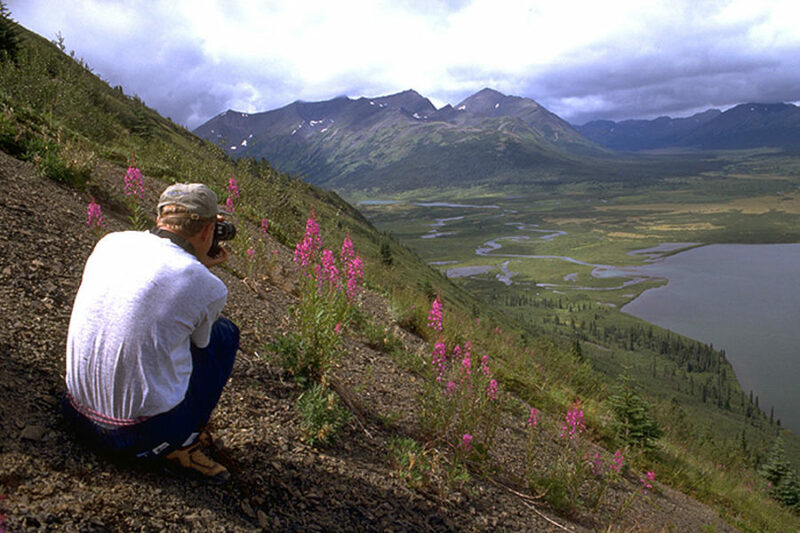 Higher cliffs cut by numerous small creeks provide numerous wildlife corridors. We will leave the Snake and the final big bends from which it earns its name. 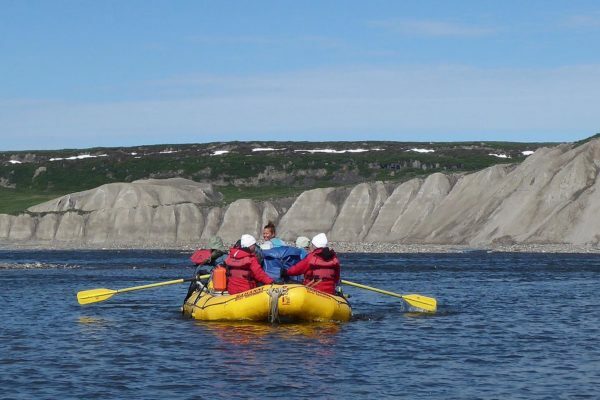 Here we enter the larger and faster Peel River with high clay cliffs and aspen islands. Camp will be on the Peel. In the morning we will be met by the aircraft that will ferry us back to Mayo. There we will be met by our van and travel the Klondike Highway back to Whitehorse. Depending on timing the group may decide to stop for supper at a diner along the way or upon arrival in Whitehorse (supper and hotel not included). Camp will be in your hotel room in Whitehorse (your responsibility). If you have not eaten on the road, the group will likely want to gather at a local eatery (not included) to celebrate the return and recount tales of the adventure! After goodbyes and a last look around Whitehorse we will head home with a cargo of fond and spectacular memories. 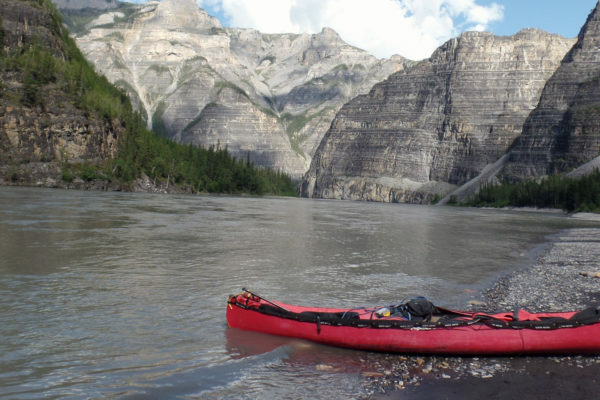 Nahanni River Adventures is a truly professional operator with excellent guides, first rate equipment and great rivers to run.